Becoming a pro at solving equations takes practice! Follow along with this tutorial to see an example of solving an equation for a variable. 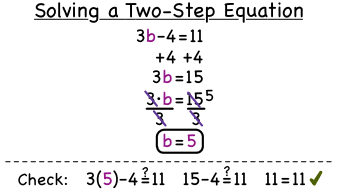 How Do You Solve a Word Problem Using a Two-Step Equation?